Pity and fear was the general attitude towards people living with disabilities for centuries. This has changed over the years and more societies are embracing people living with disabilities for who they are. Campaigns for equal opportunities and rights are gradually bearing fruits as the society becomes more conscious of the people on wheelchair. By providing accessible and safe transportation, housing as well as equal opportunities in education and employment, the future is looking good for people on wheelchair. Most institutions no longer employ disabled people as a favor or a social obligation but because of what they can offer. Amidst the discrimination that existed, some great men and women bravely rose above their disabilities, saw further than their eyes could see and walked further than their wheelchairs could take them. In the process, they charted a new untraveled path for all people living with disabilities. There is belief in their abilities and not just see the disabilities. They looked beyond the confines of their wheelchairs and saw the expanse of value that they are worth. Here are some of the most inspiring people on wheelchair whose achievements set the bar high for everyone. For over three decades as a journalist, he has travelled all over the world and covered various events from his wheelchair. He was even assigned to go to war conflict areas such as Northern Iraq, Southern Turkey, and Jerusalem. He was born on the 4th of June 1956 in Dayton, Ohio . While doing Maths at the University of Chicago he was involved in a car crash that damaged his spinal cord, leaving him paralysed from chest down. He started freelance writing for magazines which became his entry into the journalism world. Since then, he become a television journalist and has written articles for publications such as The New York Times, The Washington Post, The New Yorker, I.D., Wired, as well as created two books, among them his memoir as a foreign correspondent- Moving Violations: Warzones,Wheelchairs and Declaration of Independence. With four Emmy Awards and three Peabody Awards under his belt, John Hockenberry is a living proof that there exists no limitations to a strong-willed person. Watch John's very entertaining TED talk as he spoke about designing his wheels to be ’awesome’ and how he lives with intent. He is an author, cosmologist, theoretical physicist and the Director of Research at the Centre for Theoretical Cosmology at the University of Cambridge. He was a former Lucasian Professor of Mathematics at the University of Cambridge - the same post held by Sir Isaac Newton centuries earlier. Born on the 8th of January 1942 in Oxford, United Kingdom, he studied Physics at the University College of Oxford. At 21 years of age, he was diagnosed with slow progressing form of amyotrophic lateral sclerosis(ALS), a form of motor neuron disease, and was given two years to live. The disease paralysed him over the years and he got confined to a wheelchair in the late 1960s. His many publications focuses on the origin of the universe, and also postulated the second law of black hole dynamics. He has been known to be an independent man and unwillingly takes help. He is an Honorary Fellow of the Royal Society of Arts and a Member of the US National Academy of Sciences. Despite losing his speech, he still gives public lectures and furthers his research into theoretical physics. He dreams of going to the space and with his history, it is achievable. His TED talk now has 8 million views worldwide. 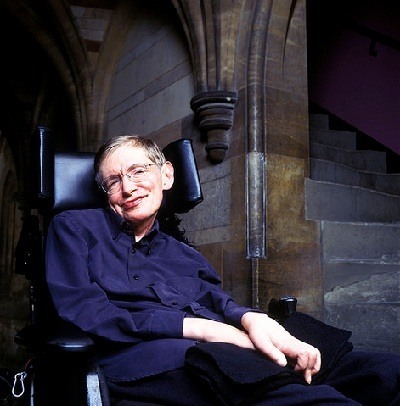 A famous man in wheelchair, Stephen never stops defying the odds to discover new capabilities. Carys Davina "Tanni" Grey- Thompson was born on 26th July 1969 in Cardiff, Wales with spina bifida. She graduated from Loughborough University in 1991 with BA( Hons) in Politics and Social Administration. She ventured into athletics and became a legendary wheelchair racer. Over her athletic career she has won 16 paralympic medals-11 of them gold. Her awards also consist of over 30 world records and won 6 London Marathon titles. She is also a presenter at BBC. She was created a Life Peer in 2010 by recommendation of the House of the Lords Appointment Commission, thereby becoming Baroness Grey Thompson. Here's a video of a strong willed person that strived to discover her own talent while accepting her disability. He was born on 18th of December 1940 in Winamac, Indiana. At the age of six, he was diagnosed with muscular dystrophy but bravely grew to become the founder and CEO of Braun Corporation. He started using a wheelchair when he was 14. At the age of 15,with the help of his father he made a motorized wagon to help him get around. At 20, using tools from his parents' garage he made a motorised scooter, which he called a 'Tri-wheeler', for going to work. When the facility he worked at moved to a farther location, he modified the Tri-wheeler such that he could get in and out of vehicles without assistance. He keeps in innovating to have the best wheelchair styled to his needs. In 1970, he added a wheelchair platform in full size vans and designed the world's first wheelchair lift. Due to high demand for his invention, he left his job and hired a team to help him, thus started his full-time business. Braun corporation was created in 1972 and grew over the years, absorbing other wheelchair manufacturing companies such as Crow River Industries and IMS Farmington. Braun Corporation became BraunAbility in 2006. Ralph Braun was named a 'Champion of Change' by President Barack Obama in 2012. He passed away on February 8, 2013 leaving behind a legacy that will last for long. Born in 1982 in Melbourne, Australia with neither arms nor legs, Nick grew up and struggled with depression, loneliness and even thought of suicide. He conquered his self pity and start speaking publicly about overcoming adversity at the age of 17. His international nonprofit organization, Life Without Limbs, and his the motivational speaking company, Attitude Is Altitude, both spreads inspiration to people about the value of life and its opportunites. On top of his many successes, he has starred and won as Best Actor in a short film, and has even made his own music video​. His life is an example that we do not have limits nor walls to any opportunities we want to pursue. A truly inspirational person, here's Nick's TED talk on how to cope and overcome hopelessness. These are just some of the brave people on wheelchair who have defied disability and achieved great things that have had impact on everyone. They have proved that they are just as capable as anyone else in any part of this globe. With more governments and non-governmental organisations taking up and owning the fight for equal opportunities and rights, the world will soon believe that we all are able. Just that we are able differently.